I use this fly spray for my mare who is very sensitive to fly and gnat bites. It works really well. I've honestly never found a 24/7 protection in any fly spray, or even a 24 for that matter. This product is among the best I've found to immediately get rid of biting flies and keep them off for a few hours - at least long enough for a ride. If this product were to actually last 24/7, I would absolutely give it a five star rating and it would be the only one I would buy ever. Strong but does the job! 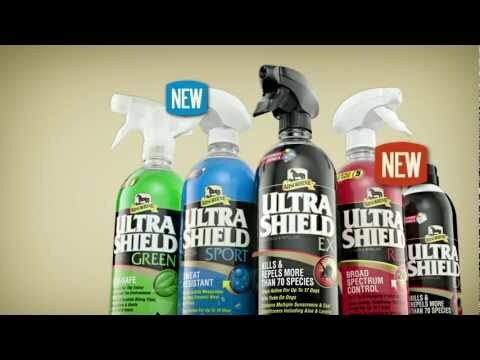 I'm not usually one to use chemicals, in fact I use the Ultra Shield 'green' natural fly spray product more often. That said, this particular 'red' bottle helps my gelding who's always biting at his front legs during the summer months and creating sores. Since I've started using this product, sparingly, we've had no problems. Discovered this one when another product I used didn't offer the shipping incentive for the size I buy. What I discovered is that it did an even more effective job that the fly spray I was using. There may be others out there better, but this is the best one I have used to date. This product works extremely well for ticks and flys, however; NO product last for more than a day like they claim. You need to spray daily for results. One of the best fly sprays on the market! We had a tick problem last winter & I used this to protect my horse. I used it very sparingly & it was effective. Wanted to try this. I typically use Pyranna but I don't feel like it's working as strongly as I'd like. This has good ratings so I figured why not. I heard it's the best fly spray out there for the price! Have used it before with good results. haven't tried this product yet. This is one of the best fly sprays we have found, and we use it in rotation with Pyranha. By rotating products, we have better luck controlling flies without allowing the flies to develop an immunity to the products. Love the fact that the sprayer is very quiet! I have used UltraShield EX for several years on my 6 horses. I just tried the red this last week and noticed I used less, had better results and it did seem to last longer. That's why I'm getting the gallon as we are in Central Wisconsin and go through fly spray quickly in the summer. Is the large size concentrated? Does it have to be diluted? I buy the gallon refill. is there sunscreen in this one? BEST ANSWER: I do not see that it claims so.